If you are eying to get a permanent residency in Australia and get citizenship then this is the best time to get into. 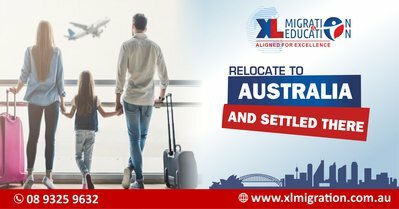 XL Migration & Education can help you with all the legalities and formalities that are needed along with staring from the amount required eligibility to apply for the visa and ways of applying. We have a perfect knowledge about Australia subclass 189 visas and Australia subclass 190 visas and can help you accordingly. Our expertise lies in providing best opinion which we have been doing over the years. Our capability lies in providing right direction that will help you successfully get you visas within a stipulated time and make a living in Australia that you have been a dream of yours. As being one of the best and finest register immigration agents in Perth we hold offices both in India and Australia so that we can easily coordinate with all your needs and help you in each and every of your pathways. For more information regarding the PR visa and information regarding the associated paperwork please feel free to contact us via our office or drop us lines at our mail id at info@xlmigration.com.au.